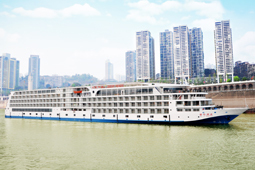 The Yangtze cruise ships offered by China Highlights are all rated at four stars and above, which will ensure you a safe and well-catered-for trip. Yangtze cruise ships travel slowly for passengers to enjoy the beautiful scenery and cultural relics. Broadcasts from the ship’s PA system, transmitting information on shore excursions or from guest lecturers to your cabin, ensure that you will not miss a chance to see any special scenery; even if you are relaxing in your cabin. 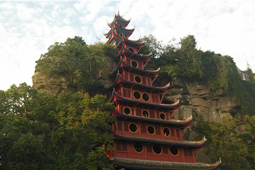 The most impressive section of the river is the Three Gorges, comprising: Qutang Gorge, Wuxia Gorge and Xiling Gorge. 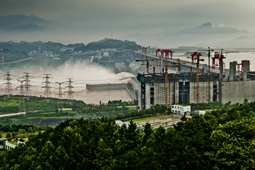 There are several impressive guided shore excursions on offer during a Yangtze cruise (one or two shore excursions a day), including such classic attractions as the Three Gorges Dam, Daning River’s Lesser Three Gorges, and Fengdu Ghost City. A slow could be a luxury for city dwellers in highly urbanized and industrialized society. A Yangtze Cruise could slow your pace and slow your mind on a leisurely trip to let you embrace this picturesque with wide-open eyes. Enjoy the sunrise, sunset and starry nights on a sun deck while drinking a cup of wine or coffee. That is the life! 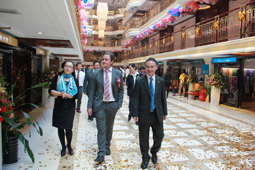 A Yangtze Cruise Gives You More Free Time and Less Hassle. Sailing aboard a fine hotel, there is no traffic congestion or the many other hassles of traveling by bus or train. According to your preference you could: Learn Tai Chi or practice Yoga on the sun deck accompanied with the pleasant river breeze, drink a cup of coffee on your private balcony, chat at a wine party, make friends with people from different parts of the world, play cards in the card room, watch TV in you cabin or just have a sweet nap to refresh yourself. 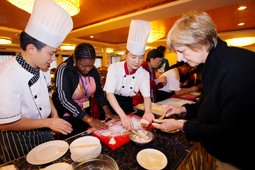 There is a great variety of dishes served on Yangtze cruise ships, both Chinese and Western food. You can choose according to your tastes. The entertainment varies from ship to ship. Staff shows displaying costumes from different Chinese dynasties and ethnic groups, the various customs for marrying in different parts of China and representative scenes from famous classical Chinese novels are popular with passengers. 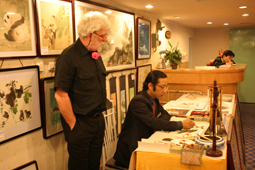 Depending on the ship, there are lectures about Chinese Tea, Jade, pearl, Chinese paintings and Chinese language classes. 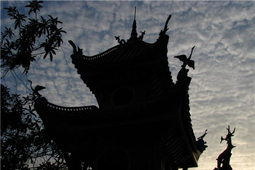 You have many chances to learn about Chinese culture and the Chinese language.